Let us take care of the daily dental needs of you and your entire family! We offer a variety of treatments, procedures and specialties to help enhance your smile. 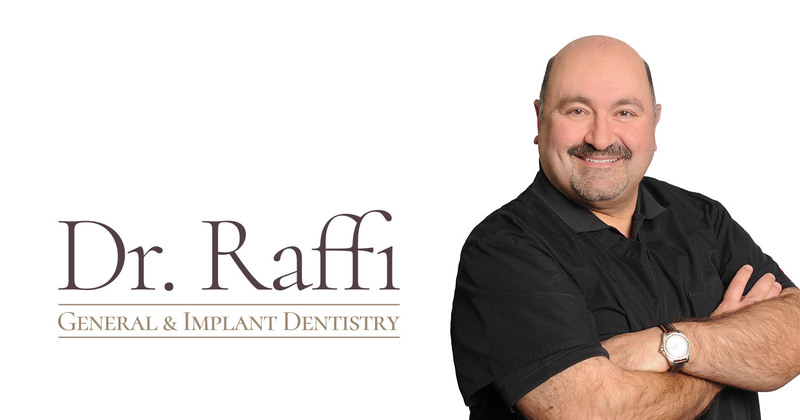 If you're missing any of your teeth let Dr. Raffi show you how dental implants can change your life! Find our office location, hours, phone and fax numbers, get directions or request an appointment. A missing tooth or teeth can have a serious impact on your self-confidence, quality of life and well being. A missing tooth not only impacts the appearance of your smile, but it also causes structural changes to your mouth and jaw. Set up an appointment today and find out how Dr. Raffi can help you restore your smile! Dr. Raffi Leblebijian and his team offer expert solutions for single, multiple or full mouth restoration. Welcome to the office of Dr. Raffi K. Leblebijian, a full cosmetic and general dentistry facility in Chicago. We believe that everyone has an amazing smile just waiting to be revealed, and we want to help you find it. We are also specialists in missing tooth replacement with dental implants. We're truly honored that you're thinking of coming to us for your health and aesthetic dental needs. Please explore our website to learn how we can help you!